Which Diet Will Help Virgo To Hit Their Dream Weight? There is a popular belief that women in France are so slender because they eat smaller serving sizes, make expert food choices, and never skip their meals or eat in a hurry. We can’t say whether this is a myth that needs to be busted, but the four principles do sound wise, so why not rely on them and try the French Women’s Diet, Virgo? Cut on your portion sizes, choose the foods you will enjoy eating, do not skimp on quality, and make a conscious effort to actually enjoy your meals. Your innate discipline and meticulous mind will help the diet work wonders. However, before you start following its rules, make an appointment with your physician and see if the diet is suitable for you.  Can you confide in Virgo? Top long-distance relationship tips for Virgo.